14-inch business. 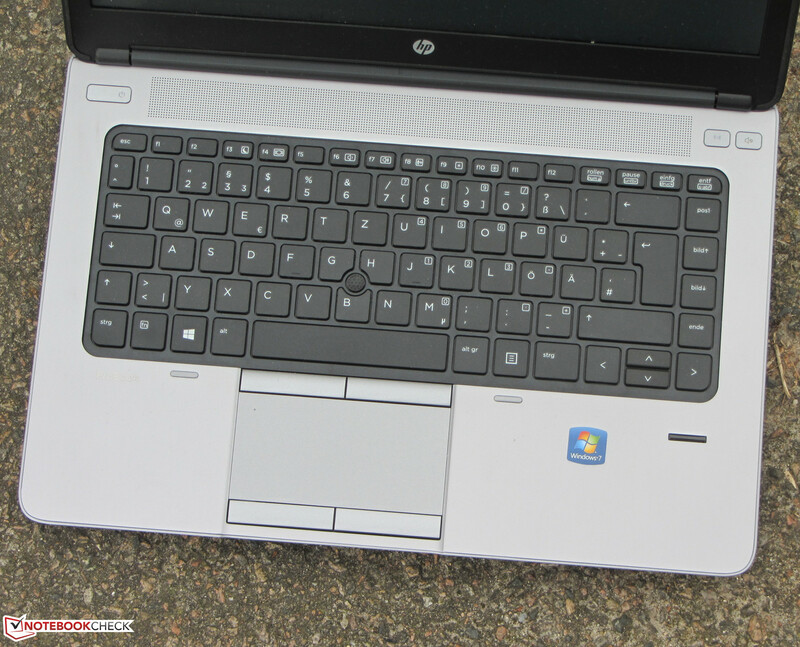 The ProBook 645 is a 14-inch business laptop. Besides a matte screen, swift hard drive and good input devices, the laptop features classic business qualities like a docking port and a SmartCard reader. 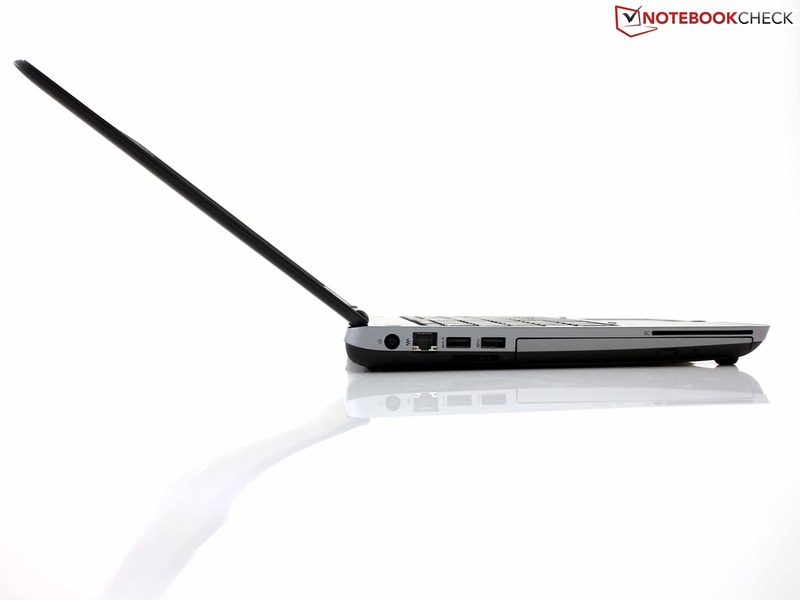 The laptop can also be furnished with an LTE modem. 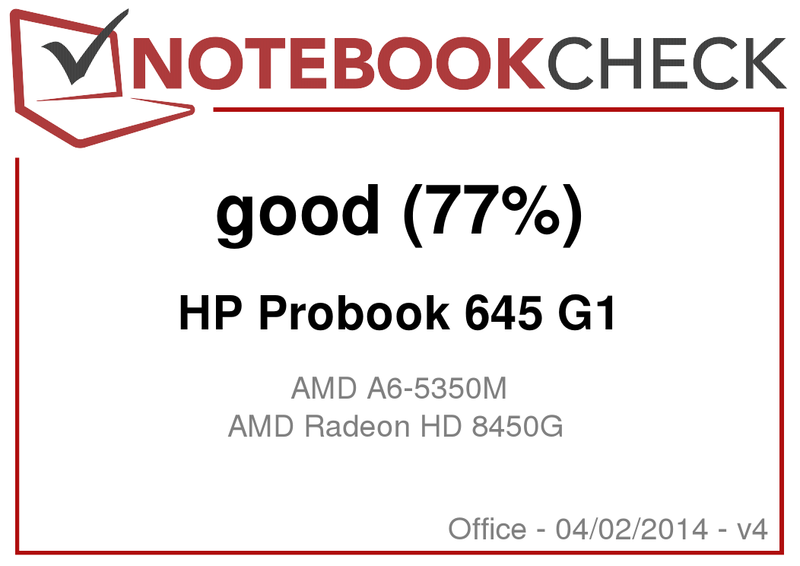 The ProBook 645 is the AMD counterpart of the ProBook 640 (Core i5-4200M, HD Graphics 4600) that we tested. While the models of the 640 product line are powered by Intel processors, AMD APUs are installed in the 645 devices. 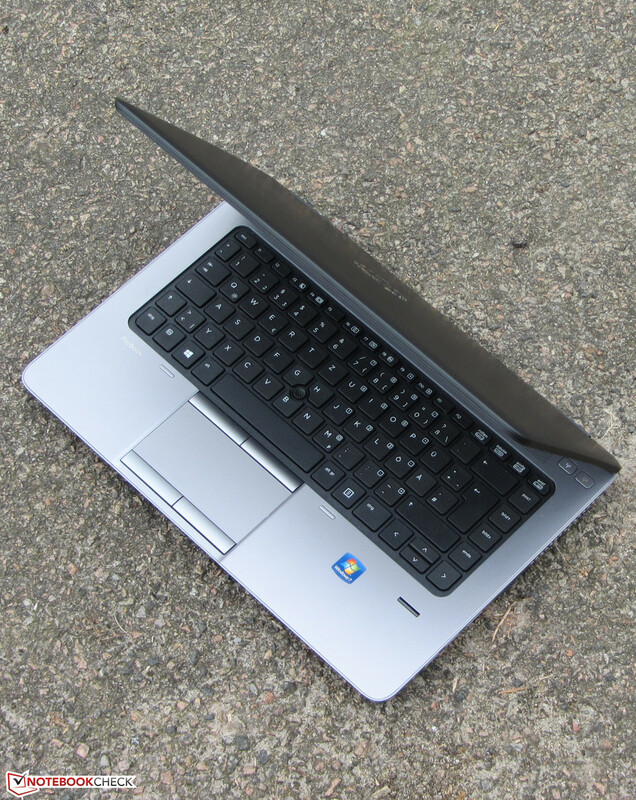 Our report will reveal whether the ProBook 645 is compelling. We used the Lenovo ThinkPad L440 (Core i5-4330M, HD Graphics 4600) and Dell Latitude 3440 (Core i5-4200U, GeForce GT 740M) for classifying the laptop. Since the ProBook 640 and ProBook 645 feature an identical build, we will not go in-depth about casing, connectivity, input devices or speakers. 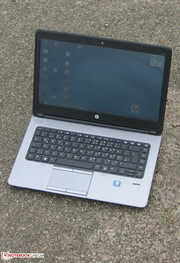 The corresponding information can be found in the review of the ProBook 640. 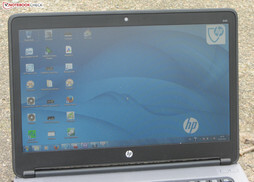 HP installs a matte 14-inch screen with a native resolution of 1366x768 pixels in its ProBook. 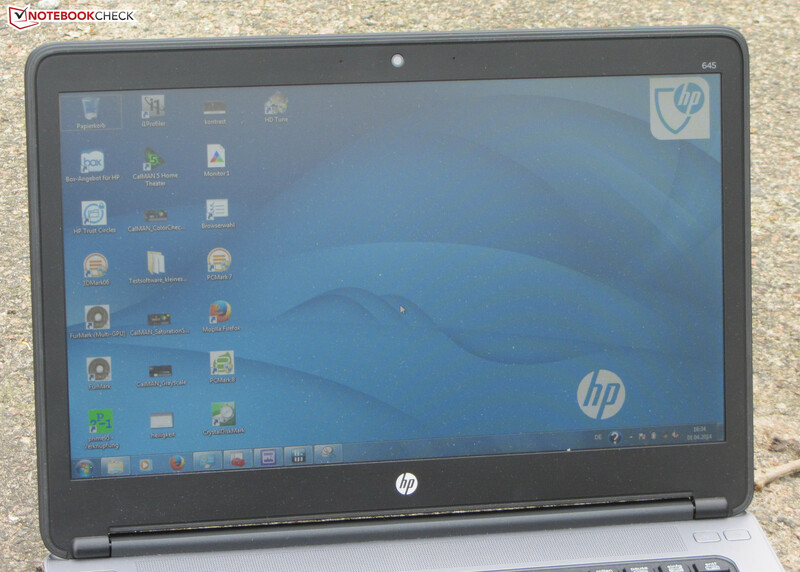 Unfortunately, HP provides a quite dark screen with an average brightness of 170.4 cd/m². The ThinkPad's screen supplies a better rate (204.4 cd/m², HD). However, neither contender can match the very good result of the Latitude (319.7 cd/m², HD+). 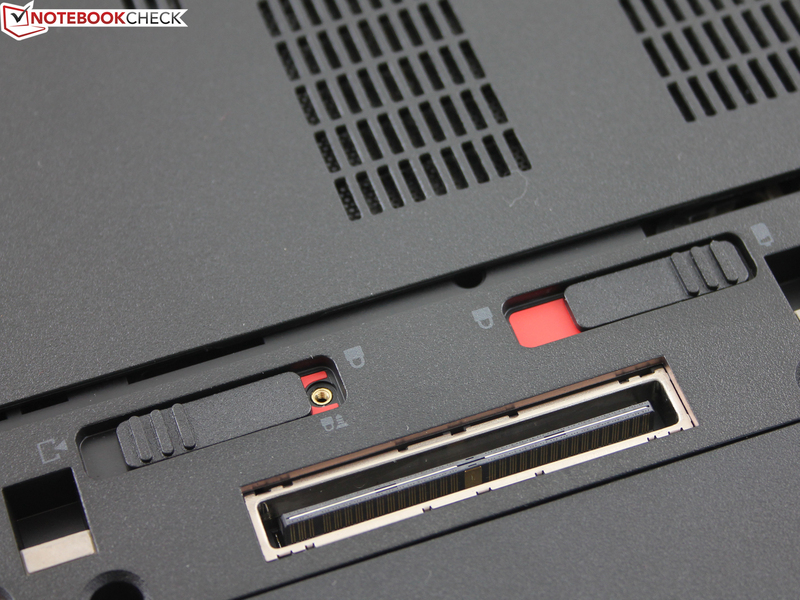 The ProBook achieves both a much better contrast with 675:1 and black level with 0.27 cd/m². It is on par with the ThinkPad (655:1, 0.32 cd/m²). The Latitude's screen delivers slightly worse rates (438:1, 0.78 cd/m²). The ProBook's screen cannot reproduce either the sRGB or the AdobeRGB color spaces. The coverage rates are 53.7% (sRGB) and 37.6% (AdobeRGB). The screen's average DeltaE 2000 shift is 10.5 in state of delivery. Thus, it is on the same level as most screens that we have measured. No color achieves the target range of DeltaE less than 3. The screen also exhibits a bluish cast that can be eliminated via calibration, as we discovered. The ProBook is quite suitable for outdoor use owing to its matte surface. However, excessively bright surroundings should be avoided because of the screen's relatively low brightness. The screen did not prove to be particularly viewing-angle stable. We would expect more from a 750 Euros (~$1039) laptop. The image soon distorts when the vertical viewing angle is altered. It looks better horizontally, and even several viewers can recognize the content when looking at the same time. 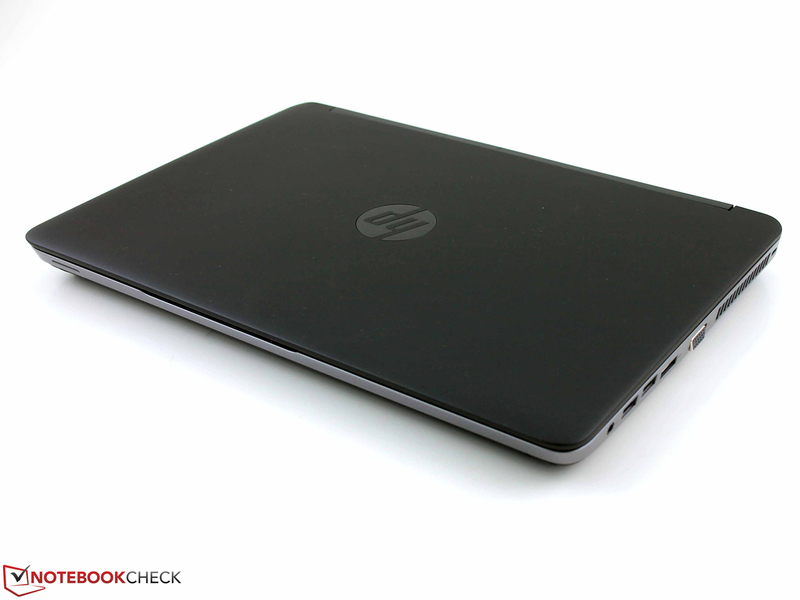 HP offers 14-inch sized business laptops in the ProBook 645 product line. Their computing power is absolutely sufficient for managing most tasks in the office, Internet, and communication field. They also feature classic business features, such as a docking port. Our review sample is available for approximately 750 Euros (~$1039). We did not discover other configurations. 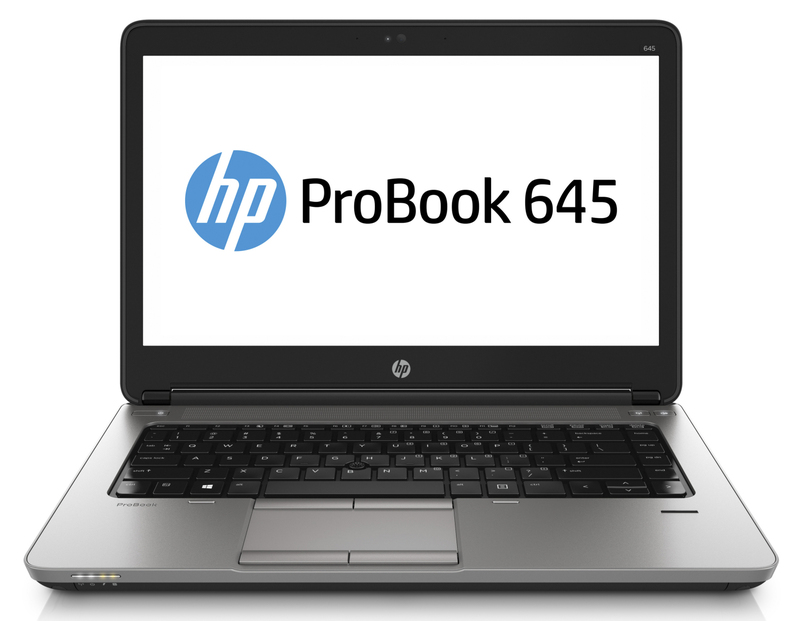 The identically built ProBook 640 line offers more options. 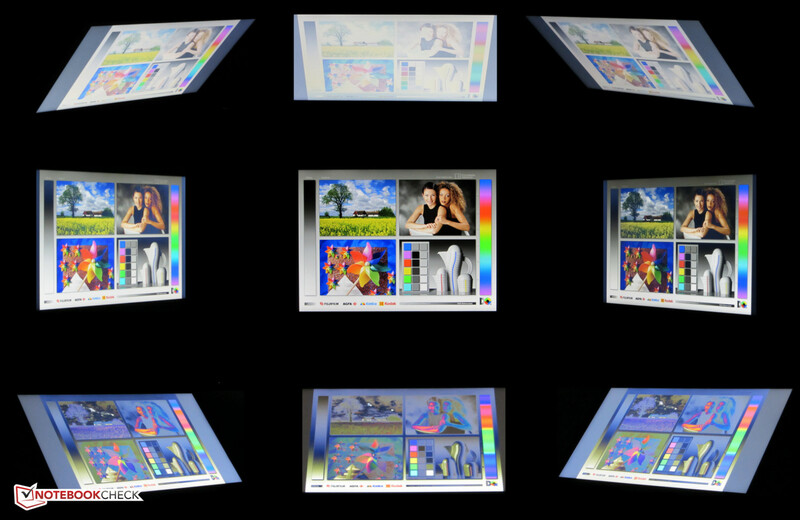 For example, models with an HD+ screen (2600x900 pixels) are available. 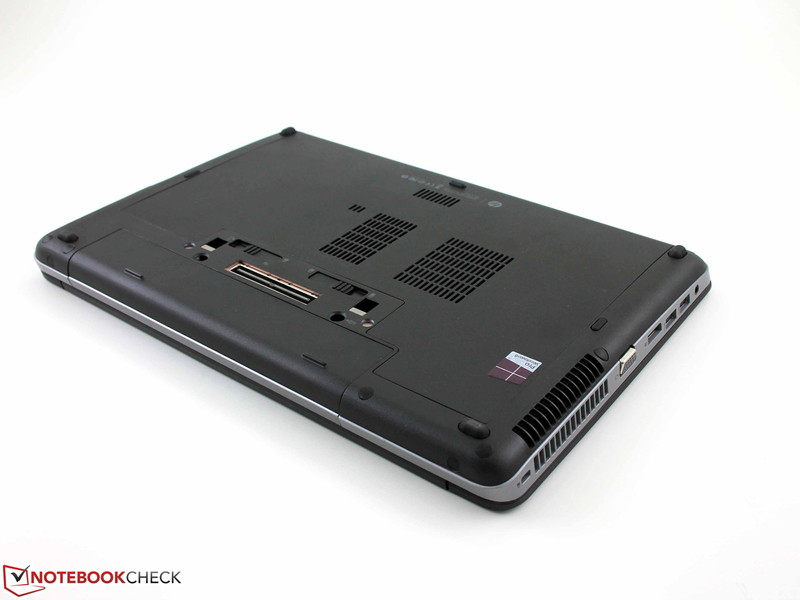 An A6-5350M APU does its job in the ProBook. It is based on the Richland architecture. The APU's CPU part is a dual-core processor that clocks with a base rate of 2.9 GHz. The speed can be boosted up to 3.5 GHz via Turbo. AMD specifies the APU's TDP with 35 watts. The CPU's full performance is available in both AC and battery mode. The processor ran the single-thread tests of the Cinebench benchmarks with 3.5 GHz (both cores), and the multi-thread tests with 3.3 GHz (both cores). The ProBook cannot match the scores of either the Latitude or ThinkPad. Their Intel processors are significantly stronger. The system's performance is beyond reproach. The system runs smoothly; the scores achieved in the PCMark benchmarks are acceptable, and they turn out as we know from laptops with AMD APUs. However, the ProBook does not reach the scores of the ThinkPad or Latitude. Both contenders sport significantly stronger processors. A hard drive from Hitachi's Travelstar Z7K500 line is used in the ProBook. It has a storage capacity of 500 GB and spins with 7200 revolutions per minute. CrystalDiskMark recorded a read speed of 112.8 MB/s, and HD Tune delivered an average transfer rate of 104.4 MB/s. These are good rates for a 7200 rpm hard drive. 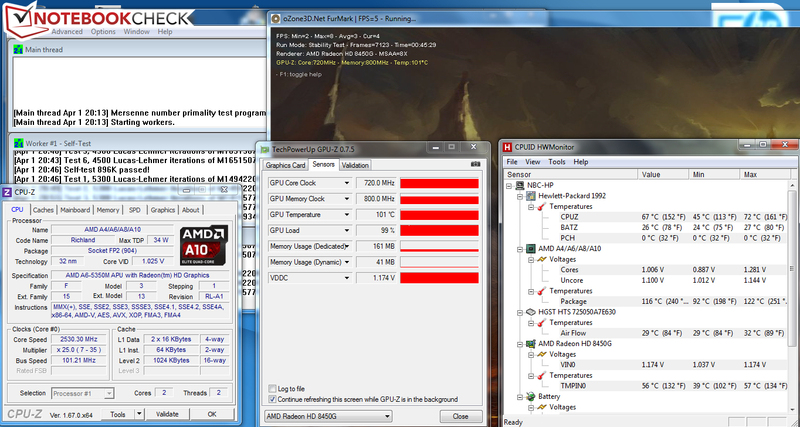 AMD's Radeon HD 8450G graphics core is used in the ProBook. The GPU supports DirectX 11 and has a base clock of 533 MHz. Its speed can be boosted to 720 MHz via Turbo. The graphics core's power is on par with Intel's HD Graphics 4400 GPU. Neither contender can compete with the Latitude. The GeForce graphics core is significantly stronger. The ProBook's CPU-GPU combination enables playing a few games in a low resolution and with low quality settings. Higher resolutions or a higher quality setting should also be possible in single cases, for example, in the game FIFA 14. A few additional frames can be squeezed out of the hardware when a second working memory module is installed. The memory then runs in the dual-channel mode, and the graphics core is maxed out better. Thus, the frame rates increase - depending on each game - by an average of up to 20%. 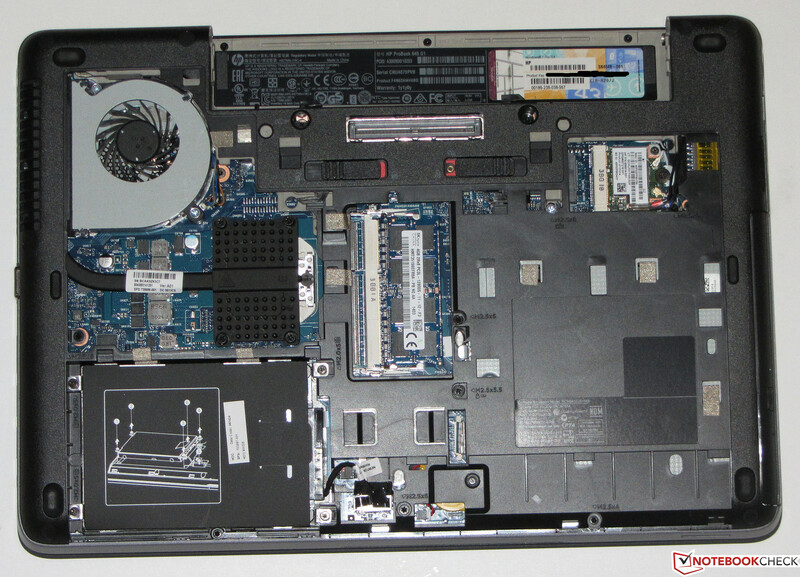 The ProBook's fan is frequently inactive during idle mode, and only the hard drive's noise is heard. The laptop's noise level increases to 36.9 dB during medium load via 3DMark06, and 40.2 dB during full load in the stress test via Prime95 and Furmark. The Latitude's rates are virtually identical with those of the ProBook. That might seem surprising at first glance because Dell's laptop sports a dedicated GPU, but a low consumption ULV CPU is in the laptop. The ThinkPad is louder in idle mode and quieter during full load compared with its contenders. The surface temperatures of all three comparison devices are within an acceptable range in idle mode. The rates increase considerably during load. The ProBook exceeds 50 °C at one measuring point. Both contenders reach a temperature above 40 °C in several places. The ProBook performed the stress test, where both Prime95 and Furmark run for at least one hour, in a similar manner in battery and AC mode. The CPU clocked with 2.5 to 2.9 MHz, and the graphics core ran at its full speed of 720 MHz. 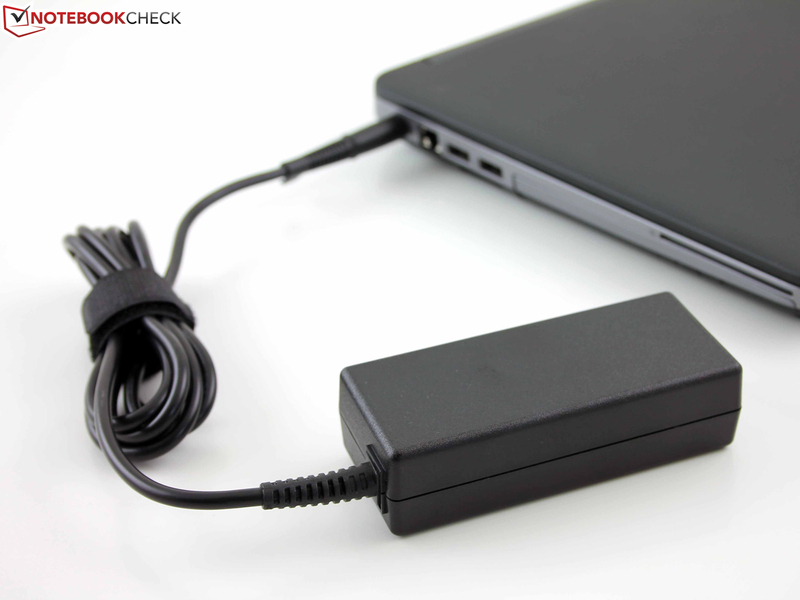 The ProBook's idle power consumption ranges from an acceptable 8.4 to 11.5 watts. The ThinkPad (8.6 to 12.7 watts) is on par with the ProBook. The Latitude (up to 8.3 watts) is more frugal because it sports a ULV CPU. The ProBook's consumption climbs to 40.3 watts in medium load via 3DMark06 and 47.8 watts during full load in the stress test via Prime95 and Furmark. The ThinkPad (48.1 and 53.3 watts) needs more power, and the Latitude (43.6 and 49.3 watts) surprisingly places itself between both contenders. The combination of a ULV CPU and dedicated GPU requires just as much power as both standard mobile CPUs and APUs in the competition. The ProBook's battery achieved an idle runtime of 9:28 h. It thus places itself behind the ThinkPad (10:55 h). We did not perform this test with the Latitude. Idle mode is tested using Battery Eater's Reader's test. The screen runs with minimum brightness, the energy-saving profile is enabled, and the wireless modules are off. The ProBook shuts down after 1:26 h of load. The Latitude (2:10 h) and the ThinkPad (1:54 h) last longer. The load runtime is ascertained with Battery Eater's Classic test using maximum screen brightness, the high-performance profile, and enabled wireless modules. The ProBook finished the Wi-Fi test after 4:49 h. Thus, it achieves a much worse rate than both the ThinkPad (7:51 h) and the Latitude (8:18 h). In this test, websites are automatically opened every 40 seconds, the energy-saving profile is enabled, and the screen's brightness is set to approximately 150 cd/m². DVD playback stopped on the ProBook after 3:20 h. The Latitude (4:31 h) lasts longer. We did not perform this test on the ThinkPad. 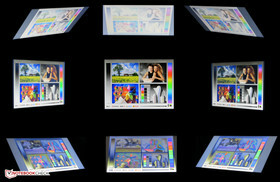 The DVD test is performed using the energy-saving profile (or a higher profile should the DVD not run smoothly), maximum screen brightness, and disabled wireless modules. The ProBook's runtimes are overall acceptable. A glance at the battery capacities reveals why both contenders manage considerably longer runtimes. 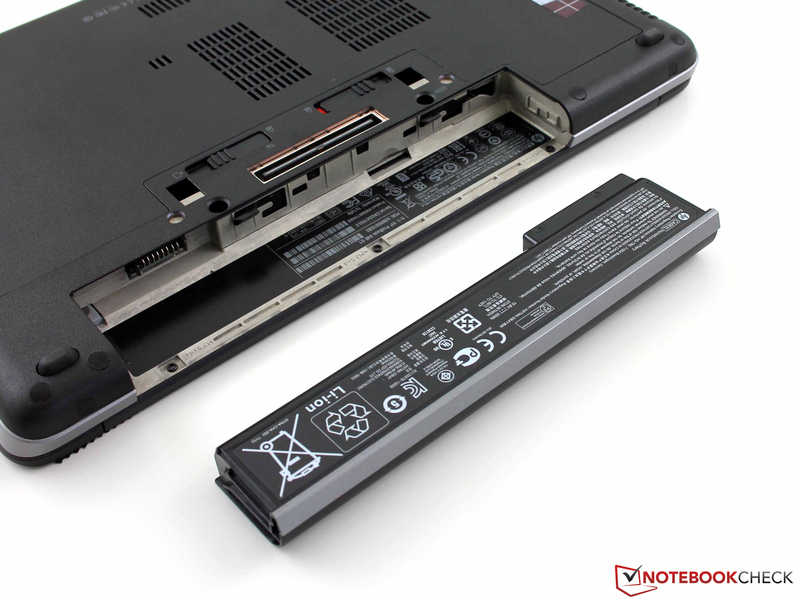 The batteries in our tested models have a higher capacity than that of the ProBook's battery (HP: 55 Wh; Lenovo: 100 Wh; Dell: 65 Wh). The Latitude also features a considerably more energy-efficient ULV processor. The ProBook 645 features classic business qualities: good input devices, good connectivity, decent battery runtimes, a docking port, easy maintenance and upgrade options, and a Trusted Platform Module. Additionally, there is a slot (including antennas and SIM card slot) for an LTE/3G module. The installed APU's computing power is sufficient for routine tasks. The screen is not in line with the purchase price. It is dark, exhibits a bluish cast, and it is not viewing-angle stable. HP should also offer more in terms of warranty: 12 months is too short. Lenovo's ThinkPad L440 would come into question when the highest possible computing power is wanted. It also achieves very good runtimes owing to its large battery. Dell's Latitude 3440 offers the longest runtimes. However, it lacks many business features, such as a docking port. Users who depend on that can look at Dell's Latitude E5440. The laptop also sports a ULV CPU from Intel and the same 65 Wh battery as the 3440. We will soon publish a test about Dell's Latitude E5440. 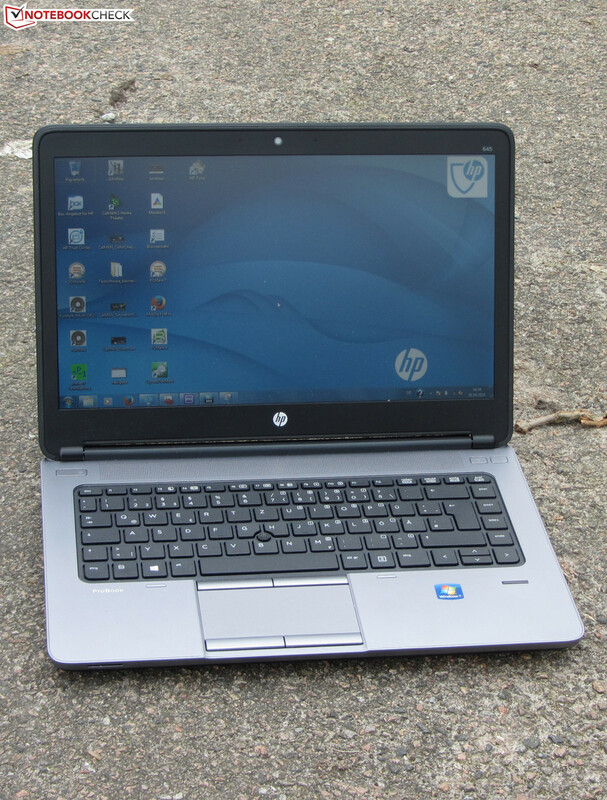 One of the most serious contenders of the ProBook 645 comes from HP itself: The identically built ProBook 640. 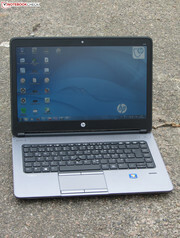 The H5G64ET model sports a Core i3-4000M processor and is sold for approximately 699 Euros (~$968). 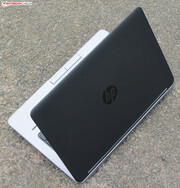 Although the laptop is not as expensive, it offers considerably more computing power. 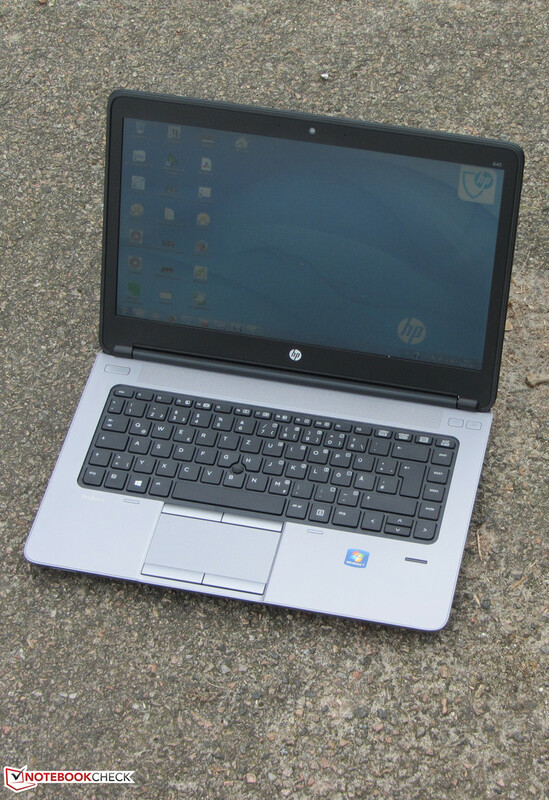 In Review: HP ProBook 645 F4N62AW, courtesy of HP store. It features good input devices. The lid's back is rubber-coated. This is the lid's maximum opening angle. No tools are needed to open the maintenance cover. A docking port is available. The battery has a capacity of 55 Wh. The power supply's output is 65 watts. Considering the purchase price of beyond 700 Euros (~$970), a 12-month warranty is too short. Dell Latitude 3440, Lenovo ThinkPad L440, Fujitsu Lifebook E743, HP ProBook 640, Dell Latitude E5430, Dell Latitude E6440, Lenovo ThinkPad T440, Dell Latitude E5440.